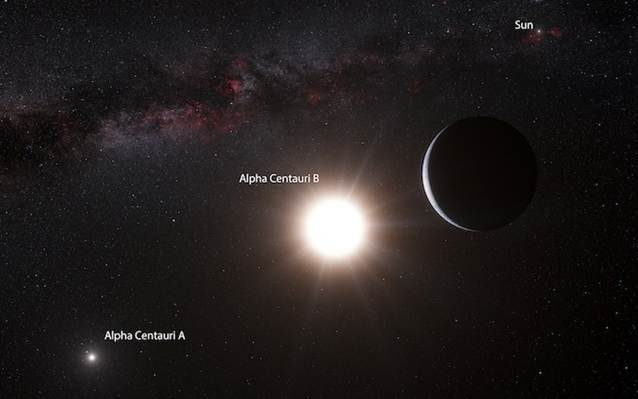 Did you know on 16 Oct 2012 astronomers announced finding a planet in the Alpha Centauri Star System! 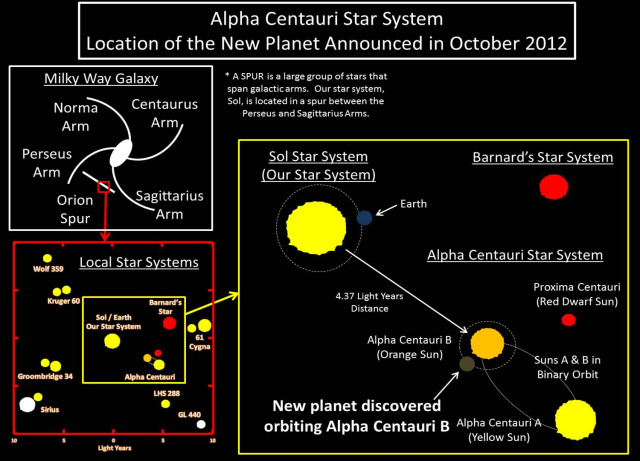 On 16 Oct 12 astronomers announced the discovery of a REAL PLANET in the Alpha Centauri Star System. In the 'Raegan and RJ in Space' trilogy, the first book is about journeying to Alpha Centauri and colonizing a planet for Christ that God had created called 'New Bethlehem'! The news story said 'planet hunters' had used a 'radial velocity' method to determine that fluctuations in Alpha Centauri B sun's orbit were the result of an orbiting planet. Basically what the scientists do is they point a telescope at a star and leave it there for an extended period of time, and then if the star light dims and then goes bright again, that means something just passed in front of the star, like a planet!! The 'planet hunters' also reported that planets are usually found in groups, so it is likely other planets could be found farther out in that solar system. Just think, God may have made a planet at Alpha Centauri just waiting for us to colonize! Here is a star chart the author made showing the location of the new planet. Below is a picture of what an artist thought the planet may look like that was in the article. Here is a file you can look at with several news stories about the new planet.